Last October I enjoyed a truly amazing, unforgettable visit to the Cape Point/Cape of Good Hope Nature Reserve (the special memory of which I will no doubt take with me to my grave) near the naval stronghold of Simon’s Town, with its penguin-haven, Boulders Beach – but whilst there, my travel companions and I wisely made the short trip down to the Cape of Good Hope, a small 2.3 km stretch nearby. Even though it was getting late when we reached the small, far humbler parking lot, leaving us with limited time to work with as a result, there was a steady stream of cars coming and going, as visitors eagerly clamoured over to the main sign (and the main higglight, it would seem), which duly affirms it as: “The Most South-Western Point of the African Continent”. Instead of imitating this behaviour, when I first got out of the car, I immediately drifted nearer to the crashing waves that twist and curl over just beyond the parking lot and probably stood there, mesmerised by the natural sights and sounds of that wild place, for a good few minutes before I was off to explore the other parts of the Cape of Good Hope. After which time, I snuck behind the sign and went across to the nearby rocky and rusty-faced cliffs that sharply loom up behind, in search of my beloved dassies (or rock hyraxes). It was far stiller there, as I was away from the main crowd and although I sadly did not find any dassies, I did find it fascinating peering up at the cliff face, with what I fondly consider to be its network of ‘mini-caves’. Not only does this grant you a sweeping view of the vast land below (home to a group of mildly inquisitive ostriches that peek their long, soft necks over the fynbos at passing cars) but it also makes for a pretty great photographic backdrop if you have a mind and eye for it! Once the rest of our travelling trio had had their turn at the highly sought-after sign, it was time to make the great ascent up to the heights above. Needlees to say, there were no dassies (just a somewhat breathless and let-down me) but it did make me run up the last few hundred metres of the (in places) rather steep, partially stony and zigzagging pathway far more quickly than is really advisable. Now, at this point I feel I must state that, whilst you are free to explore, you do so entirely at your own risk and eapecially if you veer off the clearly marked path (the more precarious areas are generally sectioned-off, if memory serves me well), the Reserve cannot be held responsible for any accidents or injury that may arise as a result. Nevertheless, though I was always conscious of the very present danger (especially near the edge of the rugged, almost slippery smooth outcrops and cliff edges) this did not deter me from getting around… And I am glad that I did. Whilst my companions were happily snapping away on their cameras, I was left to capture the experience through my mind’s eye, having depleted both my smartphone and video camera’s batteries earlier that afternoon. Although I am as much an avid photographer as the next amateur and have enjoyed small success in the field in the past, in some respects, I am extremely grateful that I could not take photos in retrospect, as certain places have to be truly seen with your own eyes to leave their fullest impression on the mind, body and soul. 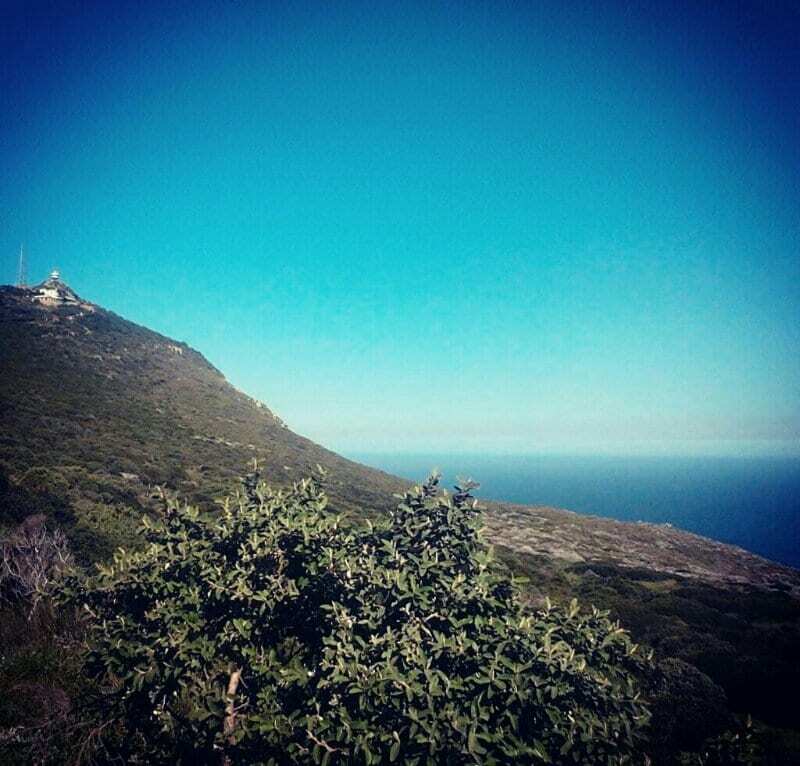 Both Cape Point and indeed the Cape of Good Hope itself are such places. 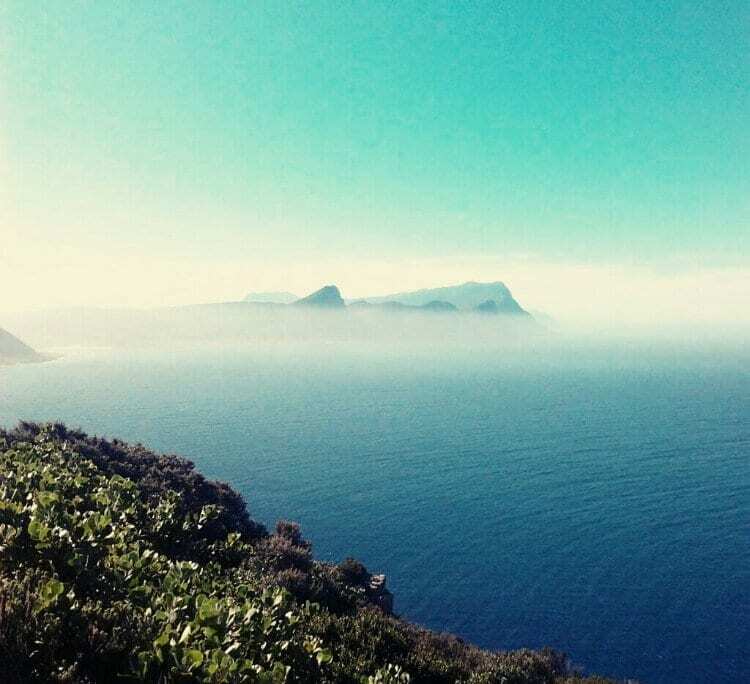 Truth be told, I reckon I left a part of my heart in that fiercely wild place (it felt even more freeing and wild than the lofty heights of the Cape Point lighthouse and surrounds) and very rarely have I ever felt so alive in my entire life. 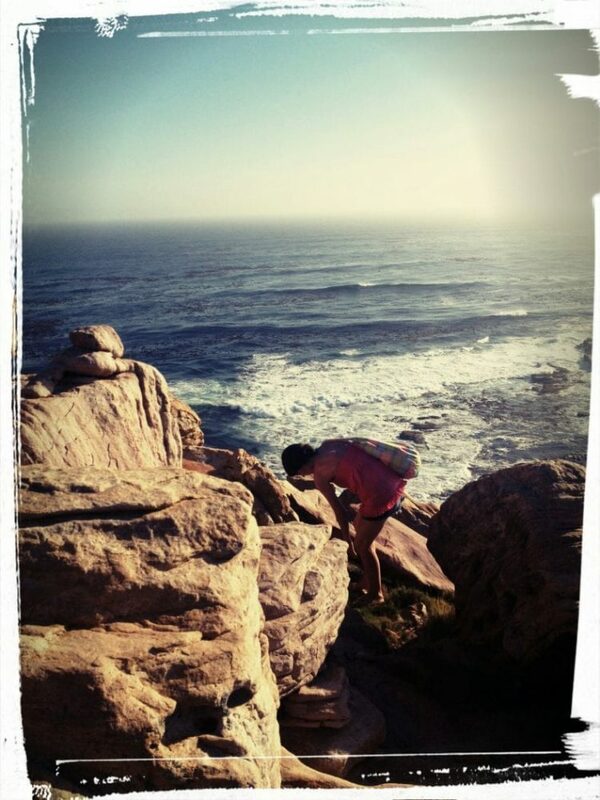 As mentioned in my review on Cape Point (you can find it on my main site, http://tamlynamberwanderlust.com), this was strangely ironic, given that one false move or one moment’s carelessness could easily have seen me tumbling to my death… I was cautious enough but I was also far more daring than I usually am when it comes to heights. It’s hard to explain, really… I suppose it’s just something you have to live through and experience firsthand to truly comprehend or ‘get’. Personally, I hope that someday you do… I strongly recommend it. I feel that, after seeing how many tourists from the world-over flock to this special 7,750-hectare reserve and experiencing its untameable and utterly breathtaking views for myself, every South African – certainly, every resident of the Western Cape and the Mother City, Cape Town – should visit at least once in their lives, for it is a truly once-in-a-lifetime kind of experience! Looking back now, the price paid (see below) and the miles travelled to get there were extremely small when compared to this larger-than-life natural wonder. I’m glad that I got to stand atop those cliffs, (my mum would have had a fit if she had seen where I was at the time… But the way I see it is, the brave might not live forever… But the cautious don’t live at all. 🙂 ) sometimes far closer to the edge than I perhaps should have been, with the wind’s invisible fingers pulling at my clothing and running through my hair, far more than I am glad of having been at the most south-western point of Africa… Though it goes without saying, that’s something pretty cool be able to talk about too! * It was discovered by Portuguese navigator, Bartholomeu Dias during 1488 whilst on an attempted expedition to India. * Due to his ship almost being wrecked nearby, Dias aptly dubbed it, ‘The Cape of Storms’. * Later, King John II of Portugal felt that a more, well, encouraging name for Portuguese sailors bound for India and the East would be, ‘The Cape of Good Hope’, thus, giving birth to its current name. * Vasco Da Gama – the first European to successfully reach India – sailed around the area in November 1497. 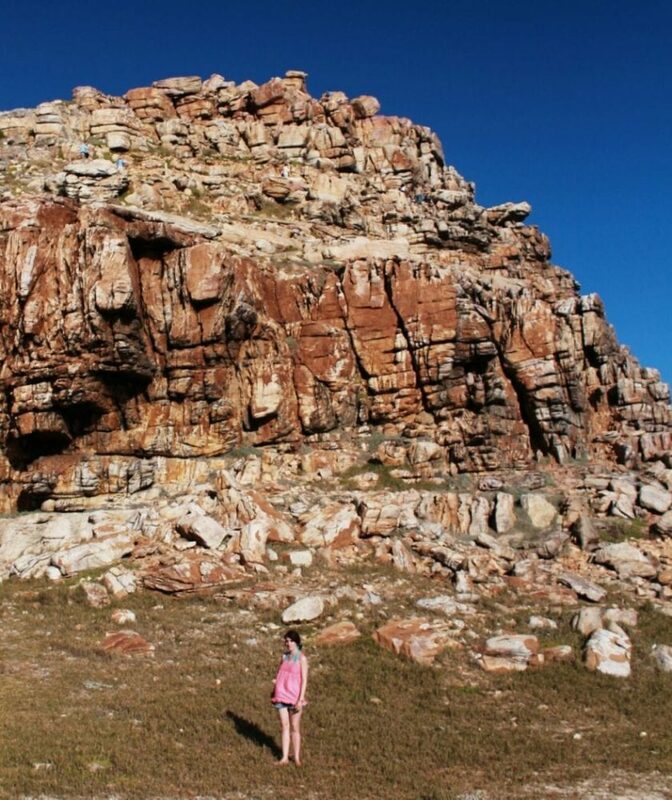 * Often, many people confuse the Cape of Good Hope with Cape Agulhas (a special place I’ve reviewed in the past and one dear to my heart too), which is in fact the southernmost tip of Africa and not the other way around… This is the most south-western point. * Aside from the beautiful Cape Point and two lighthouses nearby, you can also enjoy the Two Oceans Restaurant (Please be sure to book in advance. http://two-oceans.co.za). * The Reserve is home to +/- 200 bird species, including the resident ostriches and cormorants. * Other wildlife includes: Chaca baboons, Eland, Red Hartebeest, Bontebok and Zebra, as well as reptiles etc. * You can stay at the Reserve overnight. For more info., please contact the Buffelsfontein Visitor Centre (open Monday-Sunday from 9:30 a.m. to 17:30 p.m.) on: +27 (021) 780 9204. 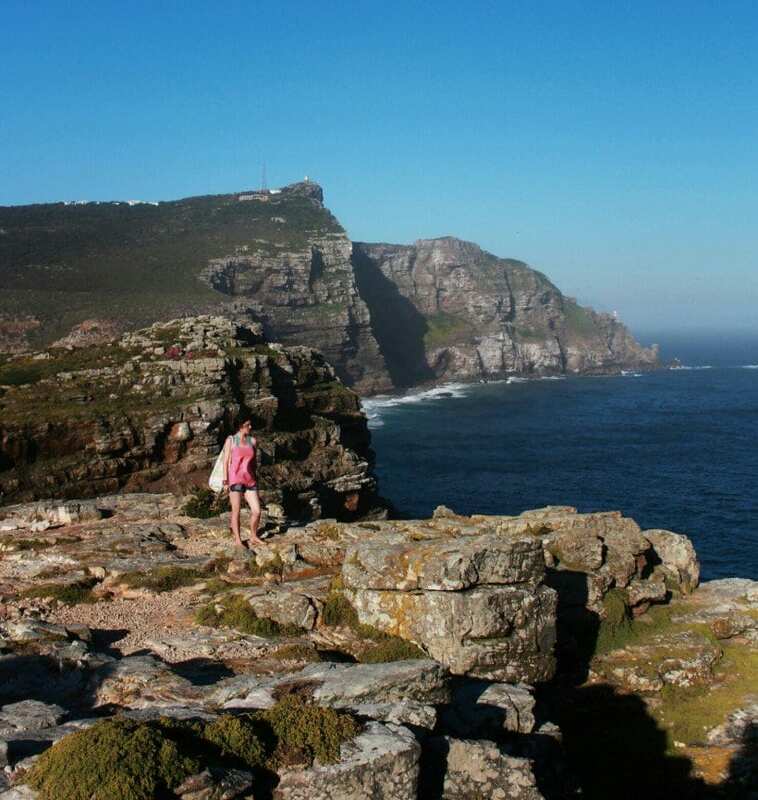 * The entrance fee to the Cape Point/Cape of Good Hope Reserve is R110 (Adults) and R55 (Children, ages 2-11) but during the annual SanParks week in September, the Reserve is FREE to all SOUTH AFRICAN CITIZENS, provided they bring an I.D. with. (Wild Card holders can enjoy visiting the Reserve for free throughtout the year. http://www.wildcard.co.za). * The area is rich in cultural and natural heritage and is also a Natural Heritage Site. (Telephonically) +27 (021) 780 9010. Or check out their excellent site: http://www.capepoint.co.za.